The Common Core State Standards (CCSS) are a set of learning objectives in mathematics and English language arts (ELA) created to better prepare all US students for college and careers. They establish uniform grade-level goals for skills and knowledge—pre-kindergarten through high school—to encourage consistency among the states for what students learn and when. Influenced by international benchmarking, the effort also reflects a desire for the US to compete more favorably on measures such as the Programme for International Student Assessment (PISA). Initially forty-four of the fifty US states and the District of Columbia agreed to replace their individual state standards with those of the Common Core. Since their release in 2010, the CCSS have become highly politicized. Although the initiative came about through a bipartisan states-led effort that included the National Governor’s Association (NGA), the Council of Chief State School Officers as well as numerous education, business, and public policy leaders, the Common Core is now often cast as a federal takeover of education (due, in part, to federal incentives created through the Race to the Top grants competition). Today efforts to reject the Common Core exist in more than 30 states (read about yours). Skeptics question, too, the role and interests of industry in the creation of the CCSS. The development of the standards was funded by the governors and the chief state school officers, but also the Bill and Melinda Gates Foundation (Microsoft), and Pearson Publishing Company (which produces and markets curricula and assessments), among other entities. The quality of the CCSS has been trumpeted as a significant improvement to the standards that previously guided curricula and instruction in many states. They have also come under fire as establishing developmentally inappropriate expectations for the early grades, for being too rigorous with math in the elementary grades and not rigorous enough in high school, for a dramatic shift to close reading and nonfiction, for cultural bias with recommended literature, and for ambitious hurdles for English language learners (ELLs) and students with disabilities. The CCSS are, however, largely a framework of learning objectives. How they influence curricula, instructional practice, the school day and—ultimately—achievement for students of all abilities remains to be determined (see CCSS myths vs facts). When No Child Left Behind (NCLB) was enacted in 2001, and the Individuals with Disabilities Education Act (IDEA) reauthorized in 2004, they set a new expectation; students with disabilities and other at-risk learners would be challenged to accomplish the same general curriculum standards as their grade-level peers. The Common Core State Standards released in 2010 then sought to establish those grade-level standards for all students in any state, aligned with that expectation; no one would be presumed incapable of learning (see the CCSS “Application to Students with Disabilities”). Students reading below grade level, for example, would still be taught grade-level content standards (as targeted in their Individualized Education Plans [IEPs]). Skill deficits wouldn’t necessitate the creation of large knowledge gaps, and no longer could a “life skills” curriculum be considered solely adequate. Many educators, parents, and others welcomed this shift in expectations for their students. NCLB, however, also held schools accountable for making Adequate Yearly Progress (AYP) toward the proficiency of all students within the general curriculum, as determined by summative assessments. Additionally, incentives were created for states to tie teacher evaluations to student assessments through Race to the Top grants. Inevitably these accountability strategies meant schools focused concentrated attention on assessments and at-risk students, including students with disabilities, and at many schools assessments took center stage. After all, schools that did not meet AYP for several years would be determined “failing” under NCLB and suffer corrective actions, restructuring and sometimes closures. IDEA’s requirement to include students with disabilities in summative assessments—while an accountability victory—became, therefore, also a source of anxiety due to the pressures NCLB applied. Indeed, at some schools, test performance by students with disabilities was determined the tipping point for failure to make AYP, generating something of a backlash against those students and their teachers. Taken to the extreme, this pressure to increase NCLB’s “disability subgroup” achievement scores created an incentive for schools to identify more higher achieving students as IDEA eligible (such as students receiving speech-related services only). In this way, NCLB could inadvertently penalize schools with higher rates of general education inclusion, hardly the intention of IDEA! This assessment-focused culture is the education environment now receiving the Common Core. Education public policy has made bringing all struggling learners to grade-level proficiency high-stakes. To measure proficiency with the CCSS, states are now procuring new summative assessments (see below). Although NCLB awaits reauthorization and a reexamination of these policies (read Vermont’s resolution), how well students with disabilities will perform on the new tests matters—to schools, districts, teachers and students. Equally important, therefore, is how well the tests will do for students with disabilities. [….] BIGGEST CONCERNS: The test format is so unlike the learning format! Although our kids are using technology in the classroom, the ways they were expected to manipulate text while testing made it pretty difficult. In one 75 minute session (which some finished in 15) they had to highlight answers, click and drag, move text around, switch back and forth between passages, and type. We just don’t do this often in classrooms. One wonders if we are actually testing content or how well students can use the mouse and keyboard. Some will say they need to spend more time using technology BUT if we are using the lab for computer based testing for 10-12 weeks per year (including district and state assessments) how are we able to get our kids more access to technology? These tests are actually decreasing our access! Four federally-funded state consortia are currently creating new assessments aligned to the Common Core State Standards (CCSS). Two are developing general assessments and two are developing alternate assessments (administered to students with the most significant cognitive disabilities, roughly one percent of the student population). There are also states developing their own assessments and states still deciding what to do (including some that are a part of the consortia). What makes them so new? 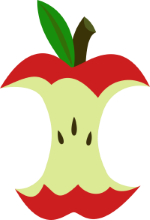 In general, the consortia’s assessments are referred to as a “new generation” because: 1) they reflect education reform inherent to the CCSS initiative, 2) they are the first summative assessments that are digital and accessed on the Internet, 3) they build in various “UDL” digital tools and accommodations for users to select or administrators to turn on (such as text magnification and spell check), and 4) two consortia are further innovating by developing adaptive tests— not “adaptive” as the word is used in a disability context—but adaptive for being responsive to student input, incorporating a diagnostic intelligence designed to provide information useful for individualized instruction. PARCC: Partnership for Assessment of Readiness for Colleges and Careers. PARCC is creating general assessments (both formative and summative). 12 member states—AR, CO,IL, LA, MD, MA, MS, NJ, NM, NY, OH, RI, and the District of Columbia. SBAC: Smarter Balanced Assessment Consortium. SBAC is also creating general assessments (both formative and summative). 20 member states—CA, CT, DE, HI, ID, ME, MI, MO, MT, NV, NH, NC, ND, OR, SD, VT, WA, WV, WI, WY (plus the US Virgin Islands is an affiliate member, and IA and PA are listed as advisory members). SBAC’s tests will be computer adaptive (CAT); the assessments will select the level of difficulty for questions posed to students based on the student’s performance on prior questions. DLM: Dynamic Learning Maps Alternate Assessment System Consortium. DLM is creating the alternate assessment for students with the most significant cognitive disabilities (often referred to as the 1%). 19 member states—KS, IA, MI, MS,MO, NJ, NC, ND,OK, PA,’ UT, WV, WI, VT, VA, WA, AK, CO, IL, ND. (Note: AK and VA have not adopted the CCSS, but will still use DLM.) DLM’s assessments will be “dynamic adaptive delivery” to integrate instruction with assessment. Two testing options are in the works: 1) “testlets” with tasks embedded in instruction and an option to aggregate results for summative assessment, and 2) a summative assessment that forgoes the embedded tasks. NCSC: The National Center and State Collaborative Partnership. Like DLM, NCSC is creating alternate assessments (formative and summative). 12 partners—AZ, CT, FL, IN, LA, PAC-6 (Pacific Assessment Consortium), RI, SC, SD, TN, WY, and the District of Columbia. Affiliates are AR, CA, DE, ID, ME, MD, MT, NM, NY, OR, and the US Virgin Islands. This test is not adaptive and will be delivered one-on-one as with prior alternate assessments. For years students with disabilities who do not use pencil and paper—students who are blind or have another print disability, students with particular physical disabilities, all students covered under IDEA who do not effectively “show what they know” with this format—have been specially accommodated at test taking time. For many this has meant, and still means, taking assessments one-on-one with a “human reader” who poses questions and records responses. This accommodation has added a social-emotional layer of difficulty to test-taking as well as implications for test validity (since readers can inadvertently influence correct answers). The promise of a digital-based assessment, therefore, was to move beyond the limitations of the paper-based approach. With so many students now successfully accessing digital text using various forms of computer access and assistive technology, the opportunity for an independent test taking experience was within reach. The PARCC and SBAC assessment developers, however, did not approach the task of creating the “new generation of assessments” with the expertise of assistive technology users and practitioners, a working legal definition of Universal Design, or the application of Web accessibility standards as expressed by the WCAG 2.0 and/or Section 508 of the Rehab Act. This is the disheartening message consistently carried over the last two years by disability policy, advocacy, and assistive technology experts. They have been speaking out, seeking to draw attention to, and resolution of, the accessibility deficits in this $1 billion test development undertaking. To the layperson, that message seems odd. Both the PARCC and SBAC assessments appear innovative for their sensitivity to disability. Each boasts a host of built-in universal-design tools, designated supports and embedded accommodations—everything from text highlighting, color contrast and spell check to on-screen calculators, Braille and videos in American Sign Language. Those with direct AT experience, however, often see the tests differently—something akin, perhaps, to a bathroom stall fully equipped with grab bars … and yet no room for the wheelchair. “I supported building in tools,” acknowledges Dave Edyburn, PhD. “I supported it, but not to the exclusion of a student’s own assistive technology.” Edyburn is a member of the PARCC Accessibility, Accommodations and Fairness Technical Working Group and a professor in the department of Exception Education at the University of Washington. He’s been presenting at AT conferences and through webinars to explain how the consortia approach accessibility and raise awareness of coming challenges. Excluding a user’s own AT, according to Edyburn, was the initial PARCC and SBAC strategy. Test developers sought to create their own closed all-inclusive tech platforms. Part of the motivation was grounded in test security. A student’s own AT may function in a way that temporarily stores test content. Besides, the use of built-in components can reduce stigma (no need to look different with your own AT). The built-in tools imply one size fits all—“And that is not true and it has never been true," remarks David Dikter, CEO of the Assistive Technology Industry Association (ATIA) (in Education Week). Indeed, most AT is highly customizable for individualized needs. The built-in tools are unfamiliar –which makes the test yet another technology to learn. “It’s like handing someone a completely different cell-phone or operating system,” notes Diane Cordry Golden, “and then testing them on how well they can complete tasks!” The assessments, she feels, will put pressure on schools to sacrifice academic instructional time to teaching students how to use and access these features. Ziolkowski and Golden have been reaching out to PARCC and SBAC to raise awareness of the AT user experience and advocate for the use of students’ own AT. “It started as a grassroots effort among a few members of the AT community,” Ziolkowski explains (though now, as an ATIA Board member, she says she’s acting more formally in that capacity). The advocacy has had its impact. PARCC and SBAC will now allow some students to use their customary AT (in some situations). Magda Chia, SBAC’s Director of Support for Underrepresented Students, acknowledged SBAC’s learning curve in Education Week: "’There has been a little bit of a paradigm shift to understand that having the same function embedded in a test does not mean the same test experience for every kid […].’"
A question now is whether that paradigm shift comes too late. “The problem is the foundation was already poured. It’s like trying to build a ten story house on a foundation meant for two,” explains Ziolkowski. Beyond compatibility is the ongoing issue of test security locking out AT. According to Ziolkowski, test developers are currently working on the assessment versions for Chromebooks. To make the platform secure, developers are working in “kiosk mode” which locks out AT. Support from Google will need to be sought to overcome this barrier. The most dramatic difference between the consortia is who has final say on the fairness of a particular accommodation. In PARCC states, the test developers maintain they have final legal authority (which means the PARCC accommodations manual overrules a student’s IEP team as well as state policy). In SBAC states, the decision can ultimately be guided by each state’s own laws and policies. SBAC: TTS is not built in. It is allowable for grades 6 and up for math and ELA if identified as a needed accommodation by the student’s IEP or 504 team. It is not permitted for use by students in grades 3-5 for ELA including for students who are blind or visually impaired (however SBAC will defer to each state’s own laws and policies). PARCC: Word prediction is not built in, but is allowable for students of any grade (if documented in the student’s IEP or 504 plan). According to Ziolkowski, Co:Writer (a Don Johnston product) works in the publicly available versions of the test and she is asking for assurances it will not be blocked in the secured version. Additional common forms of word prediction include TextHelp’s Read&Write Gold and Quillsoft’s WordQ. For the field tests, students using word prediction had to use a separate device and have all their work scribed. If this continues, students will be deterred from using these supports, as it requires the use of two screens (one for reading test passages and one for writing). SBAC: word prediction is not mentioned anywhere in the SBAC accommodations manual. Yet word prediction is one of the most common tools used by students with disabilities. PARCC and SBAC: graphic organizers are not mentioned in the accommodations manuals for either consortium. Yet graphic organizers are the top most common tools used by students with disabilities for writing. For both word prediction and graphic organizers, Ziolkowski reports the tools can be requested, but they will be made available on a case-by-case basis. This means extra work by practitioners and states, and ongoing inconsistencies with accommodations policies. Yet these summative assessments are high stakes in some states, impacting grade promotion and the earning of a diploma. So what can we do for students who cannot adequately demonstrate their skills and knowledge with the computer-based test? The Missouri Council of Administrators in Special Education and Missouri School Board’s Association has outlined six guiding principles for summative assessments to help ensure fairness for students with disabilities. The principles have since been adopted as MO state policy (which may eventually impact MO’s procurement of SBAC). AT programs with policy-maker relationships might consider the MO experience and adapt the MO white paper as a tool for state-level advocacy. Digital assessment applications must conform to an accepted set of accessibility standards and students must be allowed to use their own assistive technology to demonstrate their true academic proficiency. Guidelines restricting the use of access features must be patently justified and cannot result in disability-based discrimination or cause invalid proficiency scores for students with disabilities. Mandating yet another “individual student plan” to authorize and activate the access features a student needs is unnecessary and will create burdensome compliance requirements in addition to those that already exist under disability laws. Technology supported academic achievement must be valued equally with non-technology supported. Educators in collaboration with students and families should make decisions about when to implement skill deficit remediation, when to utilize compensatory strategies (such as AT) to mitigate skill deficits, and when to do both. Students with disabilities along with their families and educators will be irreparably harmed if the CCSS assessments are not fully accessible. Edyburn joined the working group excited to design the “next generation” of assessments, and for him that meant the capacity to finally give the AT field a vast cohort of students to study for their use of accessibility tools, to understand how they are used and to what benefits. He sees the future of digital assessments as making all tools available to everyone, like Siri on the iPad. He talks about psychometrics and dynamic norming.... In effect, he realizes he came to the table with a set of assumptions about powerful opportunities made possible by assistive technologists teaming with assessment developers, opportunities that are often once in a lifetime. "When I get discouraged about the current state of affairs, it seems that all we have accomplished is putting paper on the screen. We're not talking about usability; we're still talking about accommodations. We're stuck in these paper-based policies and we're trying to apply them to a screen. Really, we are a bit beyond that. It's just this isn't the 'next generation' digital assessment. We know so much more about universal accessibility than what we have been able to implement here. As far as large-scale digital assessments, this is the first generation." When will students be able to use their own AT and voices to have the test read aloud? If I test my AT with the publicly available versions, will that assure me that it will work in a secured version? What if I find a problem in a secured version? How can I report this and what is the process and timeline to make this compatible? When will graphic organizers, Text-to-Speech for editing and (with SBAC) Word Prediction be considered as accommodations? Your specific concerns for your students! Up Next: AT Policy Advocacy! In fifth grade I felt like Charlie Brown because all I heard was “wah, wah, wah.” It was hard for me to understand the teacher and that made it tough for me to learn in school. It was not easy for me to learn reading and math at all. I could not read or write. When I did write I wrote the letter “z” backward and I got “b” and “d” mixed up, so instead of “dog” it would be “bog.” The fact that I couldn’t read was pretty horrible because I was way below my grade level and I was really frustrated. Then I was introduced to Mrs. Knowlton and we used the Wilson cards from the Wilson Reading Program to help me understand letters. 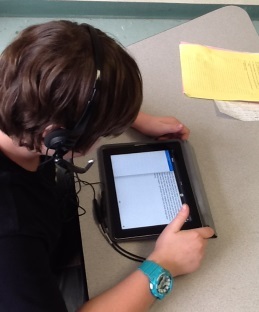 At the same time, I used an iPod so that I could listen to audio books so I could hear how words and reading sounded. I began to read more and get an understanding of words. I started to read words on signs and other places. Still, it’s easier for me to take in information when it’s read to me. When I read myself, I am so worried about reading the words correctly that I don't take in the concept. I used Kurzweil on a computer to help me read textbooks in social studies and science and tests and quizzes. Kurzweil helped me get my homework done and made it easier for me. When it read for me I didn’t have to worry about reading and I could understand. I used Kurzweil for four years to help me get through the MCAS testing, too [the Massachusetts summative assessment]. "In seventh grade I got an iPad, and it was like a multi-tool for my brain..."
Bookshare.org to read on the Read2Go app. It’s helpful to change the voice and the speed and I can highlight and read books anywhere. The first book I ever listened to was Hatchet by Gary Paulsen and I got that feeling that everyone always talked about being “hooked on a book.” It was awesome. I was finally able to understand a book! The iPad helps me with writing too. Mrs. Knowlton worked with me on sentence structure so I could get on the right writing path and after a while writing became easier. I’ve learned that I get my ideas across better by speaking them than by writing them. So now I use the Dragon Dictation app which lets me speak and it writes my words down for me. Using Dragon makes writing easier because I speak what is on my mind, and I no longer need a person to write for me. I can just write myself. itsLearning and the assignments are online and I don’t have as many papers to worry about. I can see what I have for homework on the itsLearning calendar without writing it down and having to remember. It also helps to have my textbooks online because instead of carrying them around I just need my iPad and I can listen instead of reading. I learn better with my hands and by looking at parts and pieces that make a whole object a whole. When I use technology for an assignment I look at just one part at a time instead of a whole confusing worksheet. I also learn best by listening and watching videos. I watch lots of videos on YouTube, like Good Mythical Morning where I learn about cool science facts. If I am interested in a topic from class I write it down on my hand and search for it on YouTube when I get home to learn more about it or help me grasp it. I’ve learned the most throughout my life by watching videos. It’s pretty awesome. I watched a TED talk video that definitely helped me understand my dyscalculia and dyslexia further. I learned that dyslexia affects everyone differently. I could relate to a lot of the challenges they talked about and I came away with some ways of overcoming them. Technology can help. "For kids with disabilities, technology can be that teacher who can hold their hand, and help them grab concepts that they couldn't grab before..."
For kids with disabilities, technology can be that teacher who can hold their hand, and help them grab concepts that they couldn’t grab before, without a teacher having to be there every second! Technology helps me not only in school but out of school too. My phone wakes me up every school day and shuts off automatically on weekends. My friends and I have group chats and it helps me a lot because I have to read to see what they are saying. I have to use my reading skills in real life. Using technology has really helped me the past four years. Without the iPad who knows where I’d be? Without it, I’d probably be in seventh grade instead of eighth. Technology will continue to help me learn better in high school and in life. I’ll be getting an iPad in high school and I’ll definitely use it for homework and reading and writing. I’ll be using technology for the rest of my life because it’s the 21st Century and it’s made life and learning easier. Mackay wrote this Generation Tech article last spring as his final 8th grade ELA project. Read about his process creating this assignment from Maureen Knowlton (his special educator) below. Have feedback for Mackay on his article? Generation Tech is a standing column of AT Program News featuring student writing about the technology they know and love, or student work empowered by technology (and insights from their educators). We met when Mackay was nine years old, just before he entered middle school in fifth grade. I admired his perseverance as he faced challenges associated with dyslexia and dyscalculia. Mackay could not read or write, yet it was quickly obvious that he had higher level thinking skills, strong listening comprehension, a well-developed speaking vocabulary and wonderful insight. I saw right away that for Mackay to be successful we would need to capitalize on these strengths and find ways to reduce his frustration. Mackay’s article for Generation Tech is both the story of, and a testament to, his years of hard work becoming a reader and writer. It was his culminating project for eighth grade English class and a chance to explain how the technology that we explored together taps his strengths to eliminate barriers to his learning. Mackay’s English teacher agreed to modify his final class assignment so that he could write for Generation Tech. She saw that it would give him an opportunity to learn more about his disabilities and reflect on his middle school experiences. Still, it called for conducting research, taking notes, organizing information, and using the writing process to compose an essay. For a student with learning disabilities, this is an enormously overwhelming task. But with some support, modifications, and the use of assistive technology, Mackay proved he could do it. As Mackay explains in his own essay, throughout middle school he used different assistive technologies for reading, writing, and organization. These have included computers as well as the iPod and iPad. Partly this was due to local grant funding (enabling the purchase of equipment and audiobook downloads) but it was also because his teachers began exploring Universal Design for Learning. All students were gaining access to computers in the classroom and, increasingly, teachers used technology to engage students, present information, and offer choices for demonstrating knowledge and understanding. During Mackay’s seventh grade year, his readiness for greater independence coincided with our school’s purchase of iPads. As result, by eighth grade, Mackay had many tools to consider. For his Generation Tech essay, Mackay used an iPad2 and a MacBook Pro laptop. While other students used more traditional research methods and index cards to take notes and organize for writing, Mackay had choices of applications to use on both devices to help get the job done. These included Popplet for creating graphic organizers, Keynote and Google Slides for note taking, Kurzweil for reading and writing, Dragon Dictate and Pages for writing, and WordQ word prediction for spelling. Mackay and I discussed what tools would work for him and, in general, he chose his iPad for note taking and research and his laptop for composition. Since he learns best by listening, he began his research by watching videos about dyslexia, dyscalculia, and ADD. He also used the text-to-speech accessibility feature on his iPad (Speak Selection) to read several online articles. For the prewriting stage, I prepared graphic organizers with charts and reflection questions in documents on the Pages application of my laptop, and emailed them to him to open on his iPad. He could then switch back and forth from watching videos and reading articles to typing notes on the documents saved on his iPad. He also created his own Pages document to record memories of his challenges during middle school and the tools and strategies that have helped him along the way. To organize his ideas for a rough draft, Mackay looked over his notes and chose paper and pencil to draw a timeline to use as a sequence for writing. He used this organizer and his notes to guide him as he dictated sentences for a rough draft using the Dragon Dictate application on his laptop. During the editing phase, Mackay used several strategies. He first read his rough draft aloud and made a few changes using Dragon. Next, he copied the text and pasted it into a Pages document on his laptop to adjust the font and line spacing for easier reading and editing. He also used the laptop’s “Speak Selected Text” feature to listen to the computer read aloud, so he could hear whether his sentences made sense. Teacher assistance was introduced for final editing of paragraph and sentence structure, spelling, and grammar. Color coding different text elements on his document helped Mackay revise his writing, and he elaborated on ideas, and added an introduction and conclusion by typing in Pages. By using technology to support his reading, writing, and executive functioning, Mackay completed much of this multi-step assignment on his own without a teacher hovering. Since most of his work was digital, it never got lost during this month-long process, and he could email drafts to his teacher. The most important part is that Mackay had many options for how he could complete this assignment, and the choice of what technology tools he used was his. It was a job well done that came with a sense of independence and accomplishment. The result is a heartfelt essay about how technology has helped him learn and make progress in school. His English teacher noted that his essay gave her goose bumps! ATIA Orlando is January 27th-31st, 2015! "Common Core Literacy Support for Adolescent Beginning Readers"
"Making Curriculum Accessible: The Common Core for the Uncommon Learner"
"Providing Access to Standards Based Curriculum"
Speakers: Dan Herlihy, AT Resource Specialist, Connective Technology Solutions, Inc., Darlene Brodbeck, N2Y Inc.
"Technology Triage--Manage the Barrage of AT and UDL Tools"
"Common Core Through UDL--Technology Tying it Together"
"eReader Apps: A Side By Side Comparison"
"My Turn/Your Turn--Providing Access to the Inclusive Classroom"
"3d Printing: New Educational Opportunities for Students with Disabilities"
"Finding Texts for Students with Significant Disabilities--APPS Included!" PRE-02TW: "iPad Boot Camp – Awesome New Apps, Adaptations, Accessories and More"
PRE-09W: "Creating a Culture of Achievement for ALL Through UDL Implementation"
Speakers: Katie Haritos-Shea, Senior Accessibility SME (WCAG/Section 508/ADA), Standards QA Architect at JP Morgan Chase; Bruce Bailey, Accessibility IT Specialist at U.A. Access Board. This work is licensed under a Creative Commons Attribution-NonCommercial 3.0 Unported License. Content may be reproduced for non-commercial uses!